All our cloth is finished suitable for food use and is processed within the UK. 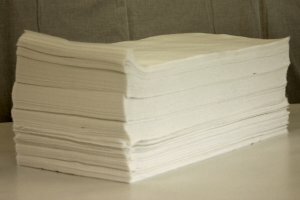 We have several qualities of cloth depending on your requirements. All employees are trained in all aspects of quality control and production, and receive regular reviews. 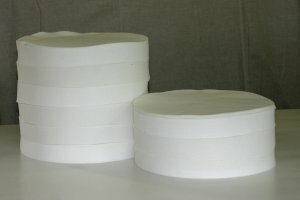 Can be produced square or circular for use with our binders and tubes. Some customers use our sewn tubes with wide ends to fit into the mould before it is filled with curd. We manufacture bags to any size or shape to meet our customers' diverse requirements. 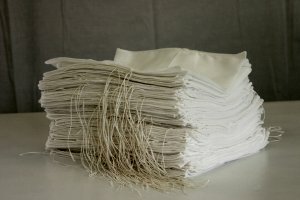 We have two main qualities of straining or filter cloth, both are 100% cotton and can be washed and reused if needed. Our lightweight hardwearing aprons are available in two stock sizes but can be made any size to order. Some customers have a reinforcing panel added to the front. We can supply apron tape suitable for use with these aprons. 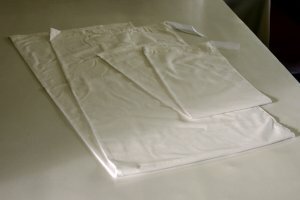 Re-useable cloths made from durable Nylon. Available in any dimensions. 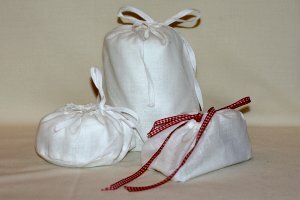 Made from an absorbent N.R.2 quality cotton cloth which can be washed and reused many times. Can be made to order in any size or shape.